Daydreams of Quilts: I've Been Published! I'm Celebrating With A Giveaway! I've Been Published! I'm Celebrating With A Giveaway! To celebrate I am giving away a copy of the magazine and a charm square pack of "California Girl" by Joanna Figueroa of Fig Tree & Co. for Moda. To enter please leave a comment on this post telling me if you are a traditional quilter, modern quilter or a little of both. For a second entry please spread the word about the giveaway (facebook, twitter, blog) and leave me a comment telling me how you did. Blog followers new and old get an extra entry to say "Thank you!" so please leave another comment telling me how you follow. And for a final chance (or two) follow me on Facebook and/or Instagram (daydreamsofquilts) and leave me a comment(s) that you did. Thank you for celebrating with me! This giveaway is open to everyone. Please leave an email if you are a no-reply blogger. 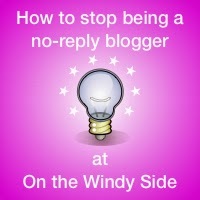 (See link at the bottom of this post to find out how to stop being a no reply blogger.) If you are not a blogger or cannot leave a comment for some reason please email me (anitalahay at shaw dot ca) and I will leave a comment on your behalf. The giveaway will close on Saturday March 15th at 8:00 in the evening Mountain Daylight Time. Good luck!